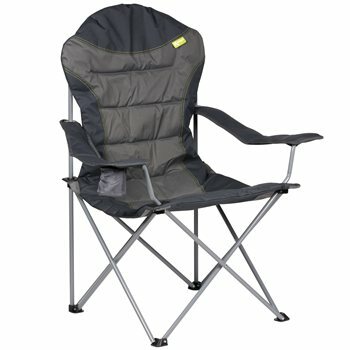 Ideal for camping, caravanning, picnics, festivals, concerts, sporting events and in the garden. This chair is both strong and comfortable. It folds down to make it easy to transport . as in the name this is a large high back chair and gives you good comfort but it is a little big when collapsed down if you are short of space go for the smaller version but if space is not an issue I recommend this chair.